It has been two years since we released Rebelle’s first version. Time flies so fast, don’t you think? After we released version 1.5 back in September with more than 40 features the time has come to start developing a new, better, faster Rebelle. ‘What features should we include to the next upgrade?’ - well, that was the question we never had to ask! From the beginning we know which path should Rebelle follow, our vision is always the same - to make the creative process as fluent as possible. Since the initial release we have gathered hundreds of user-suggested features, changes and improvements that were such a massive inspiration for us! Some suggestions were very unique, many of them were similar. We reviewed every idea and chose the most essential to implement. 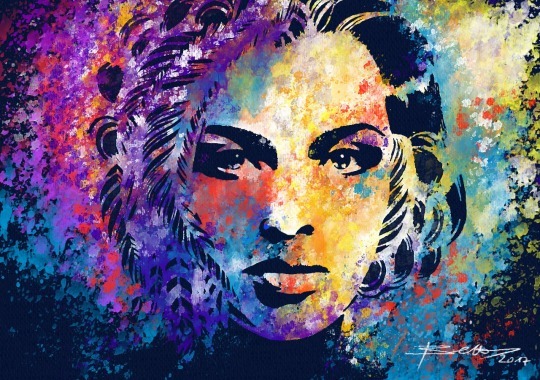 One of the most user-suggested features were without a doubt watercolor masking fluid and stencils. Masking fluid (also known as liquid frisket) is a very handy technique used by fine art watercolorists to preserve white areas that would be too tiny or complex to paint around. The idea is to put a special pigmented liquid composed of rubber latex on areas of work to protect them when color is applied in broad washes. We tried to think of the best way to implement masking fluid - should we develop a new tool or not? We decided not to because, in fact, it is absolutely unnecessary in the world of digital painting compared to traditional technique. We made it possible to use every tool as a masking fluid instead, so in Rebelle 2 you will be able to use your favorite tool and brush to paint a mask and change it into stencil. For masking purposes you can use stencils - just grab ink, pencil or any other tool, paint a mask on the canvas and create stencil from it. You can create the stencil either from the current layer or from selected area. Manipulation with stencils is very easy - you can resize, rotate and move them and if you have tablet with multi-touch features, simply use your fingers for manipulation. 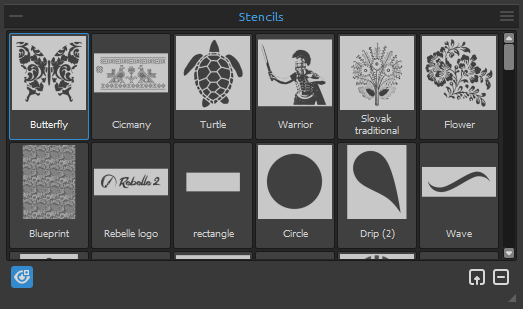 Rebelle 2 comes with default stencils but you can import any image file or paint your own very quickly. Because Rebelle is well-known for its watercolors we did not stop here and pushed stencils’ behavior even further - not only the paint is prevented from the place where the stencil is placed but also water and wet painting take stencils into consideration. For example, if you wet a layer where stencil is placed the whole layer will get wet except the area covered by the stencil. This works the other way around too - if a stencil is placed on the wet layer and you hit the ‘Dry the layer’ button - voila! - all is dry except the stencil area. You can combine stencils with dry and wet areas, let the water flow and create unique beautiful watercolor effects.